Overshadowed by the introduction of support sniper Ana, the July 19th Overwatch patch brought many important changes. A one-hero-per-team limit was implemented in competitive mode, D.Va’s Defence Matrix was changed and she’s now officially the most annoying hero to play against, McCree replaced Widowmaker as the new sniper class only to be patched again, and Zenyatta is well, viable. Casual players all over the world are enjoying the changes, but what does this all mean for the competitive scene? The latest patch brought us many hero changes, but a few broader changes are at least as important. For starters, competitive mode now allows a hero to only be picked by one player per team. Blizzard implemented this change to stop the issue of teams going Full Brexit—five Tracers, one Lucio—when they were in danger of losing a map. This also throws a spanner in the works for those teams who ran double Winston compositions, which were often very hard to beat without proper communication. Further changes include shorter overtimes, longer spawn timers during overtime and ultimate cost increases for a handful of heroes. Since McCree’s last change—when Fan The Hammer was nerfed—he has been less popular among professional players. In the new patch he maintains full damage at longer distances, making his left-click ability a viable counter to the likes of Pharah and Hanzo. Since then, Blizzard have reduced the long-range capabilities of McCree by ten meters, increased the fire rate of Fan The Hammer and reduced the amount of time between throwing your flashbang and being able to shoot. I turned to OWKings player and McCree main Olbaa for his opinion on the changes. “McCree was in a good spot after the Fan The Hammer nerf because the close-range damage on that ability was ridiculous” Olbaa says. “Currently, McCree can do far too much damage in combination with Zenyatta’s Discord Orb. He feels slightly overpowered.” It seems Blizzard isn’t sure about their own patches, buffing McCree in one patch to make him more viable long-range and then changing his abilities a few days later to pivot the hero to a more short-range playstyle. I doubt this is the last change McCree will have to go through. When asked if D.Va was at all viable before these changes, Twidi mentioned that she was no where near Winston’s strength and that she was only viable in competitive games, where you couldn’t run two Winstons but still needed an agile tank. Nonetheless, she’s in a much better place than she used to be. 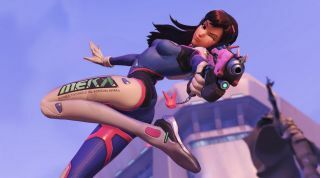 “The spots and stages where people used D.Va before were very limited and the ultimate offered very little value” Twidi says. Zenyatta has not featured heavily in the competitive meta. More often than not, teams would play a Mercy-Lucio composition, leaving no room for the robotic monk. However, with his increased shields, improved projectile speed and higher movement speed on his ult, he seems to suddenly be the belle of the ball. With only one competitive game as Zenyatta under my belt, I sought the expertise of OWKings support player Likely who had this to say: “Zenyatta gained a lot of buffs while only receiving very minor nerfs to his left click damage (45 to 40 damage I believe) which solves most of the issues he previously had.“ Zenyatta’s passive ultimate no longer contradicts his glass-cannon playstyle, Likely argues. Overall, the new patch has brought exciting changes to Overwatch. Making changes to heroes every few months makes the game a lot more fun to watch. While you might be watching a Soldier: 76 go HAM in June, in July McCree is the top damage dealer. Not only are these changes great fun as a viewer, but as a player you’re constantly adjusting to a changing metagame. A completely new list of compositions have become viable, refreshing the game for everybody.